Smash Your Piggy Bank: Is More Spending the Way to Riches? On Friday, the New Zealand Herald republished an article from the Washington Post by an economist named Jared Bernstein. Now, I see half a dozen articles like this every day…with some unknown economist claiming to have figured it all out. Most of the time, their arguments are terrible…or are simply plagiarised ideas from some textbook. This time, though, the article is both terrible and derivative. The author, Bernstein, was apparently the chief economist for Vice President Joe Biden during Obama’s reign. I have no idea why the vice president needed his own chief economist. The Executive Office already has its own Council of Economic Advisors. But that’s beside the point — Bernstein’s already made a name for himself in the economics department. As a professor at Columbia University and NYU, Bernstein took a deep gulp of the academic Kool-Aid and formed a deeply Keynesian perspective. He followed that up by joining some liberal think tanks, which further cemented his economic bias. His favourite topics include income inequality, mobility (moving from one wealth class to another), poverty, and low-wage labour markets. I’m telling you about his background so that you can understand his world view — that inequality is the problem…and government is the solution. In his article for the Herald, Bernstein drives that mantra home…forming an argument that he claims ‘puts a knife through the heart of austerity economics’. In other words, Bernstein believes he’s come up with a ‘simple economic idea could save the global economy’ — it involves a bigger government, more spending and less worry about paying it back. That’s nothing new. In fact, it’s what most would consider the mainstream Keynesian view. But Bernstein feels like he’s unearthed something special. Anyways, his main argument is that there are two kinds of public debt: good debt and bad debt. Good debt is used to help people. Bad debt is used for anything else. To him, those are the government’s main goals…and the state should spend freely to achieve them. To support that idea, he suggests that when the GDP growth rate is higher than the interest rate, everyone should spend more. Why? Because, over time, your GDP-to-debt ratio improves. But Bernstein fails to mention that you will end up with a mountain of debt…debt that’s near-impossible to pay back. And one day, those creditors will come a-knocking. That’s how debt works. Public debt also has another negative factor — it tends to diminish private spending…therefore hurting growth. 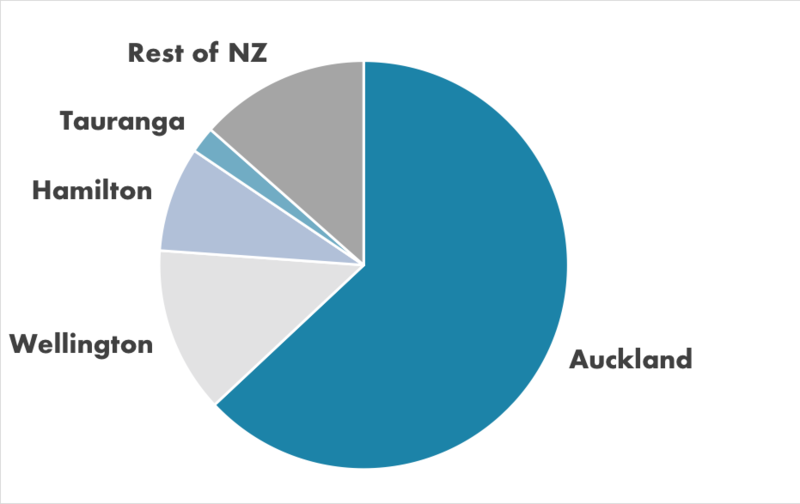 For example, if the state decided to spend a ton of money to build new apartment buildings all around New Zealand, guess what happens? Private builders who would otherwise be eager to build might decide to wait. The price of materials would go up. The price of labour too. And the profit that comes from a finished building would fall. It all comes together to make building less attractive for private companies. Thus, public spending can result in lower output and consumption. Not exactly helping matters, is it? Bernstein continues to suggest that an example of ‘bad debt’ is tax cuts. Specifically, he’s talking about deficit-financed tax cuts. That’s when the government slashes taxes (and therefore their revenue) and has to borrow to cover their budget. I’d say he’s half-right. Deficit-financed tax cuts are bad, but because of the ‘deficit’ part, not the ‘tax cuts’ part. If you manage to cut taxes and cut back government spending at the same time, then you might have a recipe for success. However, if you balloon the government and spend billions that you don’t have, well, that’s a recipe for disaster. Don’t believe me? Take a look at Venezuela. Bernstein’s mainstream perspective is that the state is good with money. Better than you, for sure. And every dollar the government spends is like manna from heaven for the masses. But…what if…what if the state isn’t so great with money? Think about it. The state has two bottomless sources of income — taxpayers and lenders. So, as the logic goes, it’s poorly incentivised to spend efficiently or effectively. Compare this with a small business owner. He must carefully consider how each dollar is spent…and how it will generate future returns. Why? Well, hey, because it’s his livelihood! If he fails to put his investments to good use, he could end up on the street. The state doesn’t have that pesky problem of accountability. What the state does have is elections…and platforms…and voters. When I visited Cambodia a couple of weeks ago, I chatted with my driver about this very topic. He said that elections are a complete scam there. Votes can be bought! And there’s even a standard price for a vote: US$2.50, or 10,000 Cambodian riel. Here’s how it works. A couple months before it’s time to vote, the public officials send out bands of vote-buyers to the rice paddies and villages. They hand out the cash. They take names. Now, that might sound insane to those us who live in the developed world. But perhaps it’s not too different from our politicians sending out welfare cheques…or other examples of Bernstein’s ‘good debt’. Perhaps fiscal spending has a lot less to do with creating prosperity (which it constantly fails at). Maybe it has a lot more to do with power.